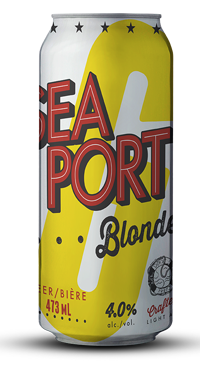 Seaport Blonde is a 4% ABV golden ale brewed with 2-row & wheat malt and Columbus hops. It is light bodied with a dry crisp finish. Perfect for summer patio drinking!